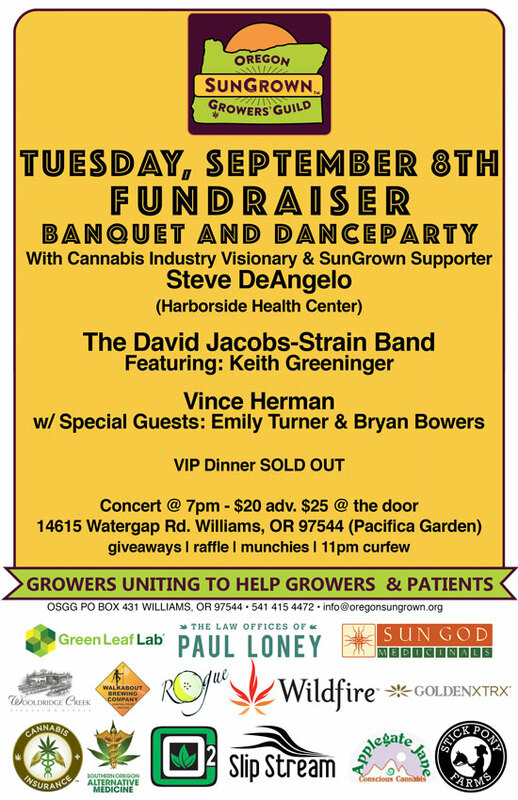 The Oregon Sungrown Growers Guild (OSGG) will be hosting a dinner and musical event with Steve DeAngelo, founder of Harborside Health Center in Oakland, California. Mr. DeAngelo is a legendary pioneer in the cannabis industry and a longtime supporter of sungrown cannabis medicine. 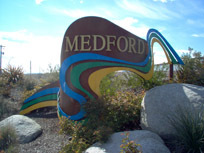 The event will be held Tuesday September 8th in Williams, Oregon, the renowned growing region of the State. 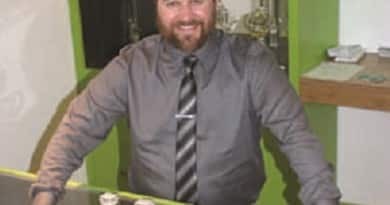 “It takes 200 pounds of coal to produce the electricity to grow one pound of cannabis under lamps, and you could drive 23 miles in an average car on the energy it takes to grow one joint of lamp grown cannabis,” he added. The OSGG is helping to organize outdoor growers in Oregon into a political force with leverage in Salem. They had an important impact in the last legislative session and have a lobbyist working for the guild full time during the legislative sessions. They believe in small farms, sungrown cannabis, and fair treatment for patients. The guild believes if small farms organize together, they can have a major impact on policy in Salem, and Washington D.C.
On August 31st OSGG hosted a roundtable discussion with U.S. Congressman Earl Blumenauer of Portland. 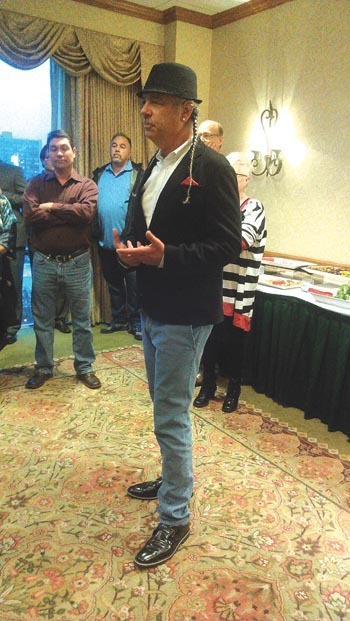 At the table were cannabis and non-cannabis farmers who expressed their concerns over federal involvement in state and local farming regulations and cannabis issues. The intimate dinner will accommodate only 100 people and quickly sold out, but the concert that follows still has plenty of tickets available, and it is sure to be an truly enjoyable event. 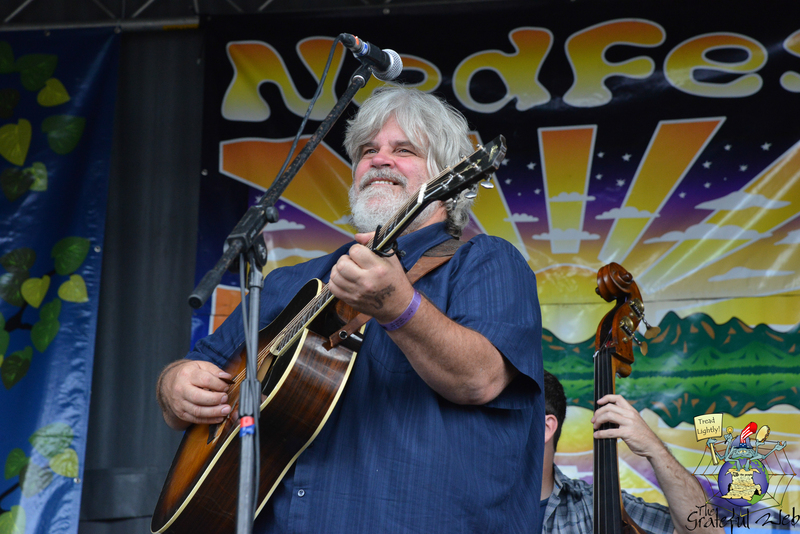 The concert will include The David Jacobs-Strain Band and Vince Herman (of Leftover Salmon fame), who will be playing with Emily Turner and Bryan Bowers. The David Jacobs-Strain Band is well-known for their eclectic fusion of blues, folk, and rock with a bit of funk and reggae around the edges. And, the nationally known (yet locally-living) guitar virtuoso Vince Herman leads the event with Emily Turner on upright bass and Bryan Bowers on autoharp for a trio that is sure to amaze and inspire. 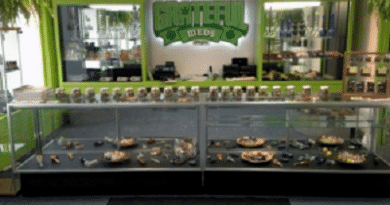 This fundraiser is a great way to get to know the members of Oregon Sungrown Growers Guild, learn more about their mission, and their organization, and have a great time, too. If you are a grower, patient, or interested in the industry, this would be a good event to attend. Tickets for the concert can be purchased in advance, here ( http://oregonsungrown.org/fundraiser-presale/ ). Entertainment will begin @ 7pm. Tickets are only $20 adv. / $25 @ the door. ← Congressional Fundraiser in a Marijuana Garden!